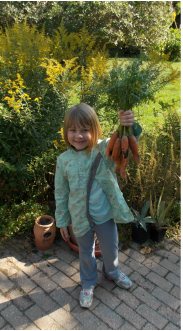 in West Bend, WI, we offer farm education programs for adults and children from preschool to high school. This is not your usual "edu-tainmant" field trip! At Paradise Farm, children and adults develop a genuine understanding of where their food comes from, and a real connection to their cultural and agricultural heritage. A short ride from the Milwaukee area brings you to Paradise Farm, where you can step back in time and enjoy nature without screens or electronic gadgets getting in the way of your experience. COMING SOON! Unique farmstay opportunities. Stay at Paradise Farm beginning Memorial Day weekend 2019! Paradise Farm, Inc. is a non-profit, 501c3 organization, and is a representative program of LifeWays North America. And thank you to the Wisconsin Farmers Union for a grant of $500!